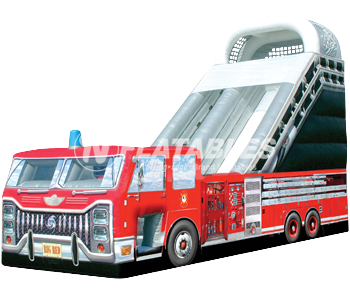 Fire Truck Inflatables: Take your community events to the next level. 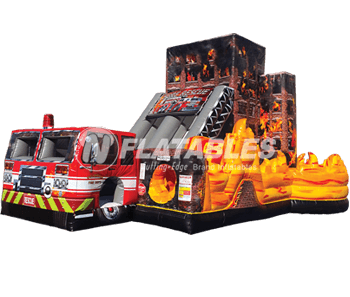 Our commercial-grade fire truck bounce houses and fire truck inflatable slides are used across the country by hundreds of fire departments, and they are a fun and safe way to make your next city event, fire muster, or school visit really fun! Easy to use. More affordable than you think. 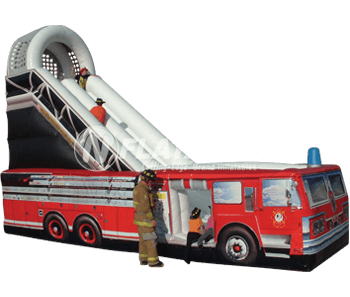 Inflatables are a great way to make an event really come to life. And they're pretty simple to install as well. 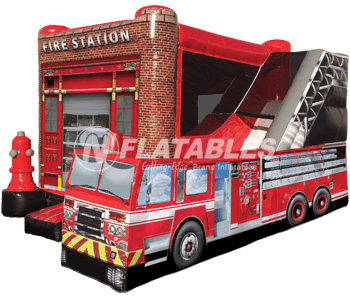 One person can setup a small bounce house, and only a handful of people are needed for our largest inflatables. There's no complicated tools to use, and most inflatables can be moved around on a two-wheel dolly. 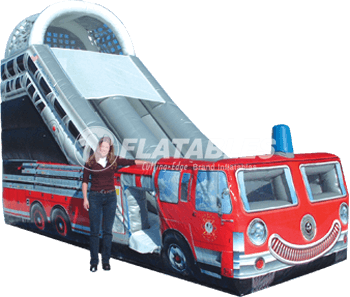 We only sell ultra-commercial-grade inflatables. But that doesn't mean you need to break the bank. 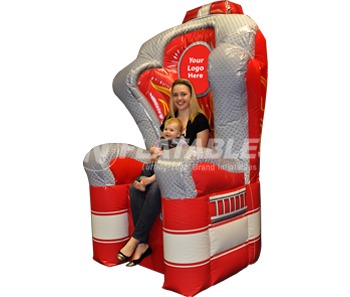 Since our inflatables are designed to last, buying wholesale direct from the manufacturer is a great way to make inflatables a regular part of your community events. 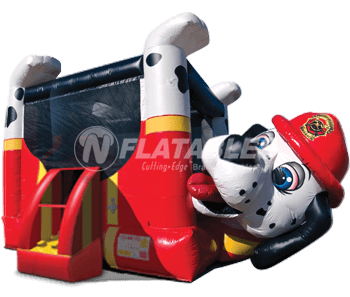 The Cutting Edge™ brand of inflatables has been the leading brand of commercial inflatables for nearly 30 years. 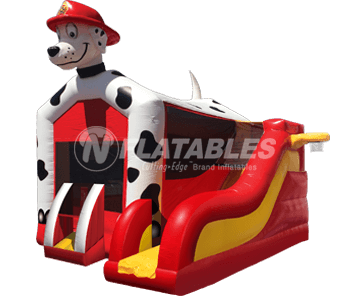 We're a family-owned and operated business, and we're dedicated to making what are, simply put, the best inflatables you can buy. We only use premium materials in our construction, and we never cut corners to save a buck. 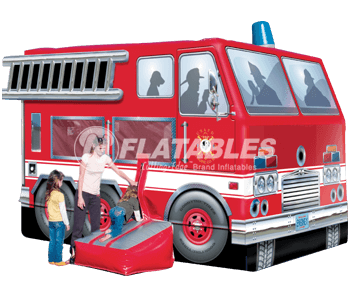 The quality of inflatables really comes down to two things: workmanship and the quality of the vinyl. What good is great workmanship with cut-rate materials? That's why we only use true commercial 18oz vinyl that features a special anti-tear weft substrate. Many manufacturers claim to be "commercial-grade" while using cheaper woven materials, or even lighter weight 15oz materials to keep costs down. We spend the extra time and expense to have engineers review our inflatables, and we're intimately involved with the ASTM and the creation of inflatable safety regulations. 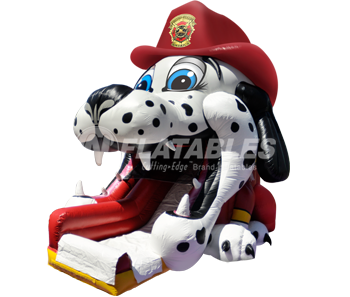 You can be sure that all of our inflatables meet or exceed industry standards.